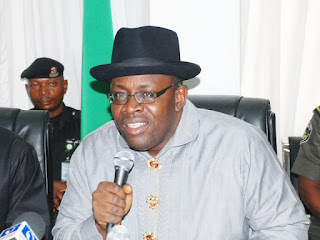 Home Politics Photographer To Bayelsa State Gov., Seriake Dickson Shot Dead In Southern Ijaw. Photographer To Bayelsa State Gov., Seriake Dickson Shot Dead In Southern Ijaw. The official Photographer to the Bayelsa State Government House has been reported killed on election duty in the state. The man was said to have been killed under yet to be disclosed circumstances on duty as an official of the state Government in the Southern part of the Ijaw. It is not yet open if the Governor has reacted to this news, but its a shame that we are still on this level at this point in time in our polity.